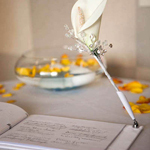 Decorating the guest book table will allow keeping your wedding décor consistent and interrelated. It is a nice idea to have all the special guests attend this table for smiles and greets. All you need to set the guest book table are the pen and book, but that wouldn’t be enough for bringing the warm and personal touch. Keep in mind that the guest book table is the first thing your guests will stop by, thus it will be setting the overall atmosphere of the wedding reception or ceremony. Put the cover on the guest book table to match the rest of the tables in order to achieve the common visual effect. 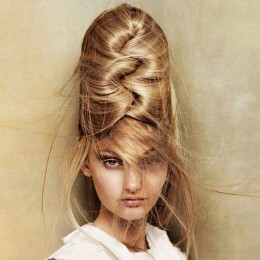 If you want to accentuate it, consider decorating it with the lace, tulle or net. 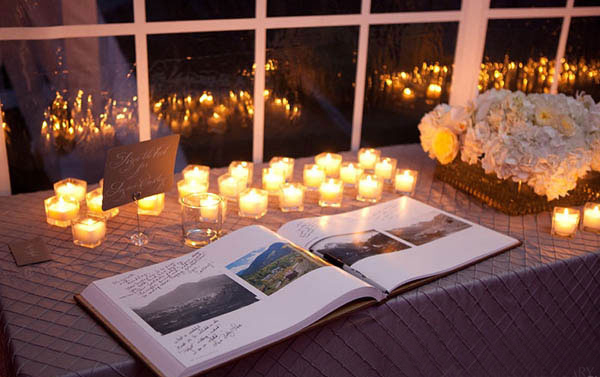 White lights will draw the additional attention to the guest book table as well. 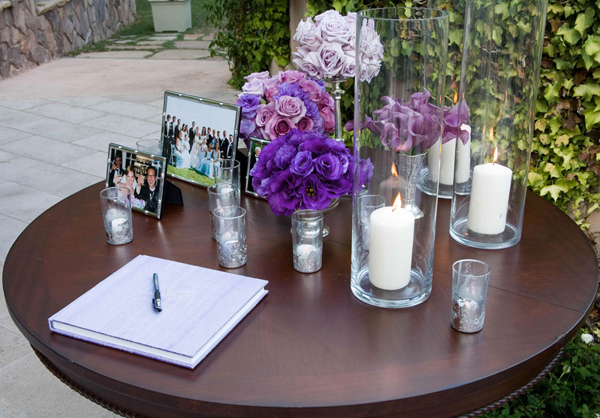 Don’t forget to put the centerpiece on the guest book table. It could be either the floral arrangement that would match the bride’s bouquet or the items like the ceramic statuette, candles and a small fountain. In case the bride and groom are religious, consider putting the Bible open to the couple’s favorite scripture verse. 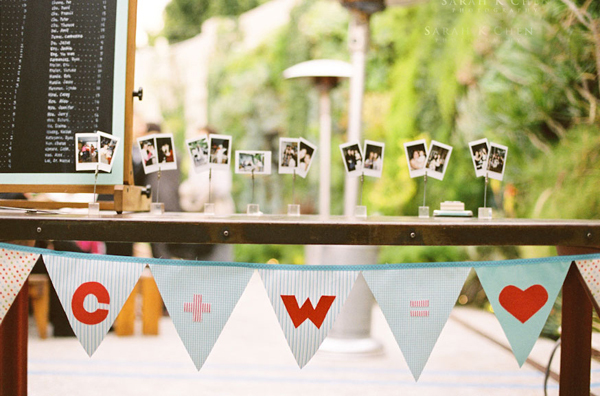 You may add the personal touch by placing the framed photos or the range of illustration on the guest book table. These might be the engagement photos, family portraits, photos of the bride and groom from the childhood or the evolution of your relationship development. 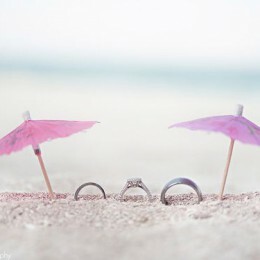 Also consider placing the photos that will demonstrate the entire process of the wedding-planning, which should be fun. 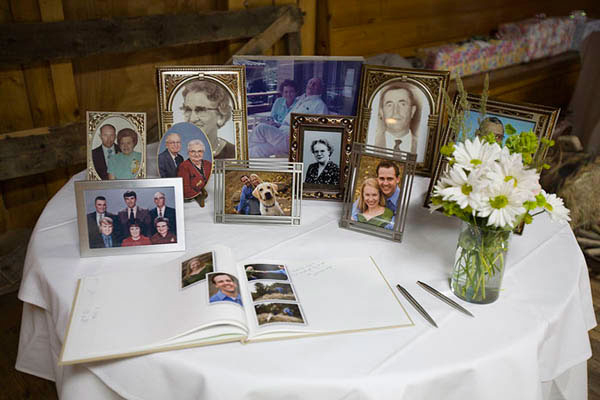 Another way is having the photos of your parents and grandparents on their wedding days to demonstrate the strong family values within your families. 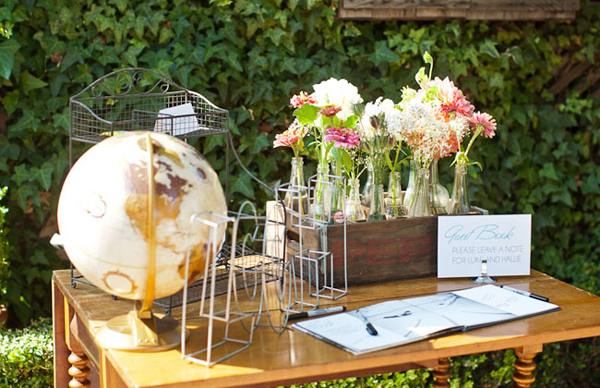 Consider setting the multipurposeful guest book table: besides serving as a book where attendants can sign and register, it could be the wedding favors station. Besides it could be the right place for the card basket or box in case the room is too crowded. Don’t overload the guest book table with needless items otherwise it will distract from its main purpose and slow down the people’s stream. Make sure the pens on the guest book table are good working. 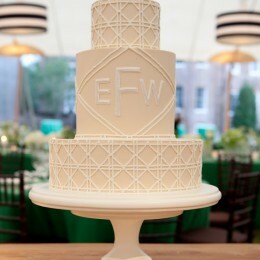 In case the card basket or box is placed on the guest book table, make sure the attendant is there all the time.